Sensitive and In Love coming soon! Our team feels passionate about this film. Mainly because the first film, Sensitive—The Untold Story, which was a groundbreaking documentary on the subject of high sensitivity, provided insight into the central features of the trait and research on it. 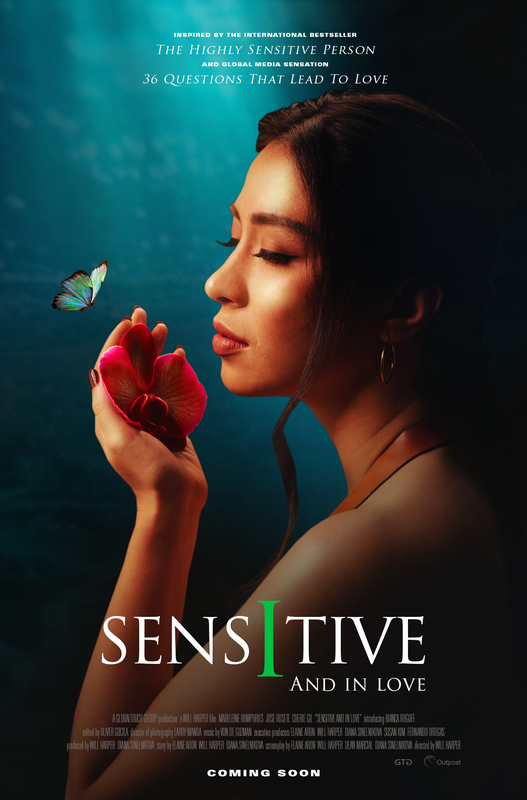 Sensitive and In Love , a feature film, focuses on what perhaps matters most: how high sensitivity affects your relationships with loved ones. What do you do when you feel you are born with an unbearable flaw, and you don’t know yet that you share it with 1.4 billion people. Rob and Jessica grew up feeling just that. Inspired by the international bestseller, The Highly Sensitive Person and global media sensation 36 Questions that lead to love, SENSITIVE AND IN LOVE tells their story. Besides their sensitivity, the brother and sister share a traumatic childhood. Jessica is an accomplished writer in San Francisco, but every one of her romantic relationships have crashed and burned. Rob, a successful music producer in Manila, has a seemingly happy marriage, but it is headed for a cliff. Robbie insists Jessica comes to the Philippines for a much-needed break. While there, a single mistake opens Jessica to the world and a terrifying moment for Robbie opens him to a real family connection. We want to thank all of you who donated towards Sensitive And In Love and made this important film possible. We thank you for your support of Sensitive and in Love.